Have you been searching for a team of plumbing experts that can improve all areas of your property’s water and gas management systems? 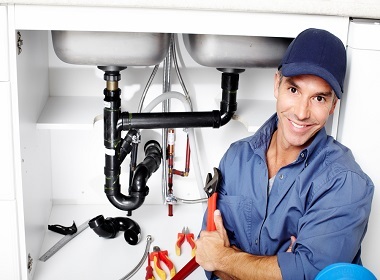 Are you in need of plumbers who offer the highest-quality solutions for an affordable and transparent price? Committed to improving plumbing systems both small and large for our customers living throughout Melbourne’s Northern Suburbs the certified and experienced plumbing contractors working at Perspective Plumbing will change your perspective about what is possible with our modern plumbing methods and techniques. Utilising well-maintained equipment and renowned materials and products our plumbers can keep Lalor homes and businesses free and clear of plumbing issues. At Perspective Plumbing we are passionate about improving the quality and the safety of our customer’s access to services. When you hire our team you can rest assured in the knowledge that we won’t cut corners or ignore industry regulations and guidelines. At Perspective Plumbing we know that plumbing issues rarely happen when you are ready for them. To deliver the best level of service to our customers we proudly offer around the clock emergency plumbing assistance throughout the Northern Suburbs. No matter the time of day or night you can trust our experts to get the job done. For plumbers you can rely on Lalor locals and residents from surrounding suburbs can call us today!